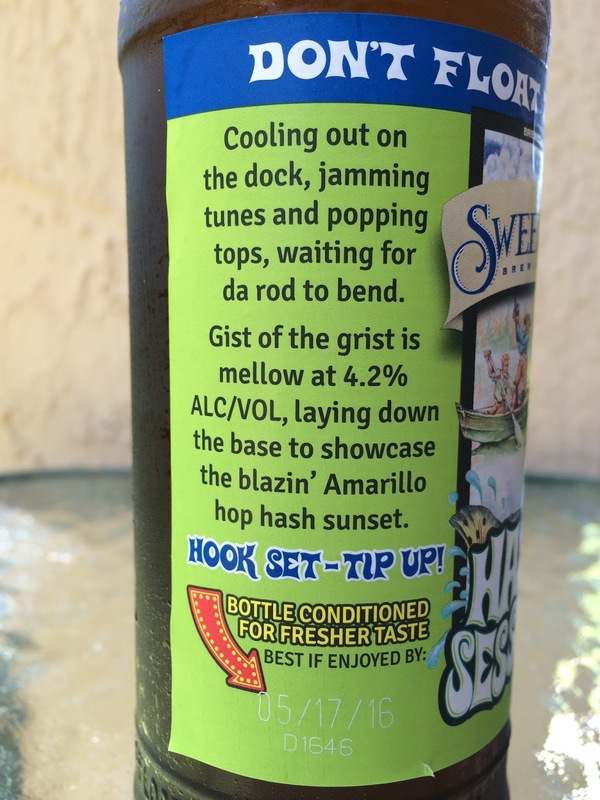 I loved Sweetwater's Hop Hash DIPA! So for sure I had to check out baby brother Hash Session IPA. Enjoy by 05/17/16 whew made it by 2 days! 4.2% alcohol. You can read the story on the label for yourself, though I'd probably drink a glass of bourbon first then try to interpret. Floral, fruity with some dank hoppy character and just a hint of tropical sweetness. Lemony citrus flavors, tangy, floral, herbal. 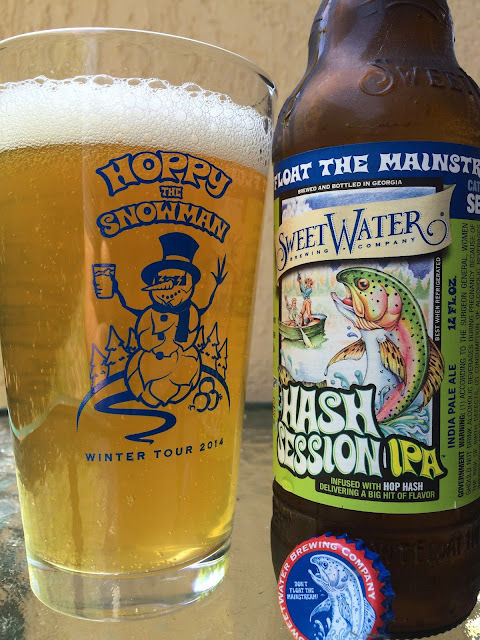 Some "hash" resinous flavors build as well, but overall this is a pretty thin beer. Definitely leans way bitter though some tropical fruity sweetness holds out in the background. Super dry and astringent, mega cotton-mouth at the finish. So-so, not close to in love.